Ian Shepherd is a mastering engineer with over 15 years experience in the business, mastering many top names and big albums at SRT and now with his own company Mastering Media Ltd. He has also been a significant voice speaking against the Loudness Wars, a phenomenon of increasingly compressed music in an attempt to be louder than the last band. 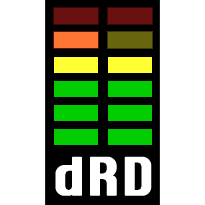 Ian was kind enough to join me for a chat about Dynamic Range Day which will be celebrated on the 25th March this year. Graeme Rawson: What are the goals of Dynamic Range Day? What do you hope to achieve? Ian Shepherd: It’s awareness raising-that’s the main thing. There’s a community of audio engineers that know all about the loudness wars as an issue but there are many more people who don’t. The main thing I want to bring awareness of is that it’s all a wild goose chase, an urban myth – “tilting at windmills”. I’ve been trying to think of that phrase for weeks! Having your track with a really high average level – in quotes; “loud”- doesn’t really do any good any more. There was a time, in the early 90s, when CD Jukeboxes first became popular, when there was an argument that if you wanted your track to stand out in a pub or a club then it needed to be louder than everything else. But now, that doesn’t apply. If you’re using something like Spotify it evens out the levels by default. I made a playlist with two U2 tracks on, a track from How to Dismantle an Atomic Bomb (2004) and then there was Bullet the Blue Sky from the Joshua Tree (1987), the first has a dynamic range of 5dB and the other a range of 10dB – and it sounds like it. If you play one after the other, the one with more dynamic range sounds so much punchier and works better in so many ways. So it’s pointless on Spotify. Most MP3 players use ReplayGain, a piece of meta data built into the files to achieve a similar effect. The radio makes everything consistent and completely removes the internal dynamics of the songs. I’ve put up a post about this last week showing what radio compression does to music. The big thing is that if it’s distorted to start with it’s even more distorted at after radio compression. So… that’s pointless! And if someone is listening at home, the first thing you do is adjust the volume level to something you’re comfortable with. So it just seems to me that there is no point in having a high average level these days. On the other hand there definitively is a point in getting the levels up to a certain point, in that “sweet spot”. There are as many problems with mixes that are too dynamic as there are with mixes that are not dynamic enough. I’m not saying “no compression, no limiting, if it peaks at 0dB or has had a brick-wall limiter on it don’t touch it”. I’ve spent 15 years as a mastering engineer trying to optimise things, to get the right balance between compression and level. And that’s what it’s all about – balance, or finding a “sweet spot”. But the levels that most things are at these days are just ridiculous. There’s research, too – there’s an AES paper that shows that people prefer dynamic music, they don’t like distortion and they don’t notice level difference between songs, especially if they’re different songs. Level is just not something that features on peoples radar. This year we’re trying to be positive. Last years Dynamic Range Day had a slightly negative vibe – and there is an argument that negative views travel better on the web! But we want a positive message this year and in particular when SSL got involved and donated an X-Desk to the competition they were keen to keep the message positive. I feel that the Loudness War is this meme, this “idea virus”, that came out in the 80s and 90s. (And to be fair the meme was started by mastering engineers who hadn’t thought it through properly.) The meme is “louder is better” but it’s flawed. Louder is better but only if you have the headroom – as soon soon as you start turning it up into a hard limit like 0dB in digital there are inevitably consequences for that. So Dynamic Range Day is trying to start a new meme – “Dynamic music sounds better”. GR: We’ve already touched on this when you spoke about the SSL X-Desk. But the next question I wanted to ask is how are you celebrating Dynamic Range Day? IS: First of all there’s the Award. I’m pulling together a panel of engineers to choose a great sounding dynamic mix from the last 18 months. There’s no actual monetary value to the award, it’s just for the fame and the glory (laughs). The idea is to highlight something that sounds great and is dynamic because there have been a few releases in the last 18 months that do that. It helps prove the point that you don’t have to have a ridiculously crushed dynamic range in order to be successful. Then there’s the competition. Anybody can enter the competition where they can win the X-Desk, or some other great prizes. There’s going to be three different mixes of the same song on the website where people can listen to them or download them and measure them – however they want. They find out which is the most dynamic and enter the answer and they stand a chance of winning a prize. GR: I think I’ll have a go at that. IS: I think with a chance of winning an SSL X-Desk it’ll make sense! There’s loads of great prizes – some quite cool Alan Parsons DVDs up for grabs, for example. So there’s two things and the third thing is – and here’s an exclusive for you – I’m going to issue The Dynamic Range Day Challenge! Where I’m going to challenge everybody to commit to making their next project DR8 or more as measured on the TT Loudness Meter. If you are already somebody who does that, mixes dynamically, or masters dynamically, then the challenge is to find someone who doesn’t and persuade them to do it. The idea is that if anybody says that they’ll commit to that I will publicise that as much as I can. I’m going to do a webcast on the evening of Dynamic Range day, late on Friday night UK time where I’ll announce the competition winners and who’s won the award. At that point I’ll flag up as many people as possible who’ve committed to the challenge and post up links, publicise them on Twitter or stream a video out on the webcast to basically give props to those who are making that commitment. I’m hoping people will be interested in that and they’ll find that doing a mix that way will sound great and everyone will be happy. GR: Any reason why DR8? IS: DR8 is my choice. I think if you consistently push things beyond DR8 the music suffers. If the material is right you can have a record that only measures 6 and still sounds great – there are some great sounding albums that only measure 6 or 7 – but it doesn’t work for all material. And when a whole album is DR6 it’s very tiring to listen to. If you put it under the microscope and gave it a couple more dBs to breathe maybe it’d sound even better. So 8dB seems like a good threshold or sweet spot. I think maybe next year we’ll make it 10 though, to keep it challenging ! GR: So at what point did you think that it’d have to be you to start all this? Rather than taking a back seat and waiting to see where the trends went? IS: I never decided it had to be me – it could have been anyone, and it still could. But there was a moment where I thought – well, why shouldn’t it be me? That moment came about through a couple of things. I watched a TED talk by Derek Sivers where he used a video clip of a guy at a music festival who just gets up and starts dancing like a nut-case. He’s going for 20-30 seconds or so before suddenly somebody nearby gets up and joins in and over the course of the next minute there’s a massive crowd of people who end up dancing as they decide they’re going to join the loonies! So Siver’s point is – this is how a movement starts. You have one person who stands up and dances but his point is that the person who follows is just as important as the guy who starts it, the first follower. Because then you have the potential for a snowball effect. So I saw that and thought it was an interesting idea but didn’t think of it in relation to me. Then also there’s Seth Godin, who writes a blog and has written a famous book called Purple Cow and another called Tribes, I think he invented the term Permission Marketing; how you can have ethics and still sell a product, how you can do the right thing, believe the right thing and your business will be successful because of that. He put up a post that said – if you have a cause you believe in and you think other people will believe in it, invent a day. Make a day to celebrate it, it doesn’t have to be a worldwide thing, it doesn’t have to be huge, all it has to do is work for you and work for the people you’re talking too. It’s good for everybody – it’s good for you, it’s good for them and it celebrates a common cause and it creates a community. These two things sort of clicked in my head and I thought – Okay, I’ll do “Dynamic Range Day”. GR: Any particular reason for the date 25th March? IS: That was suggested by Dean Whitbread, we followed each other on Twitter and he’s heavily into the lunar cycle, and I think it’s an equinox or nearly the Spring Equinox. So it’s pretty random, although I said at the time it would have been nice to have done it on the anniversary of Death Magnetic‘s release! As it turns out Death Magnetic was released near the Autumn Equinox, so in a very round-about way we’re the exact opposite date to Death Magnetic. GR: My last question, Ian, is do you have any tips or tricks for engineers, mixing or mastering about how to know when they’ve pushed it too far? IS: This gives me a chance to plug my favourite thing! Which is the TT Loudness Meter. It’s a free download that’ll work with any computer recording system and it’ll give you a real time indication of what the dynamic range of your mix is. The really cool thing about it is that it’ll give you that indication no matter what your output fader is set to. Let say you clip all of your channels and compress the hell out of them and you’ve only got a dynamic range of 4dB going on, you see that it’s hitting 0, so you pull your master fader down. That might bring the peak level down, but all of that crushing will still be happening on the channels and in the sub mixes. The meter will give you the Peak level, plus the RMS level – the average – and then there’s this big bar in the middle that starts off green for a range of 14dB or more then goes yellow to orange and eventually red. I think 8dB is the last point that the indicator is orange before it goes red. So if you’re mixing I’d recommend you keep it green and yellow all of the time. If you’re mastering then it’s okay to push it up into the orange for the loud bits and occasionally even red if you’ve got something really going for it ! But if you’re constantly putting the range measurement into the red then you’re likely over-doing what you’ve got. You do have to be careful, however, if you’ve got something like a flute, or an organ which has a really limited dynamic range naturally then it’ll look very flat. It’s like any meter, you have to learn how to read it. Another rule of thumb of mine is that if the compressor doesn’t relax back to zero gain reduction several times in a bar then you’re over-doing it. As you wind the threshold down and down it’ll start off doing nothing and soon you’ll see the gain reduction begin to pump. If the gain reduction never goes to zero at any point in the bar then there’s too much going on. You’re just in a state of constant compression. Unless that’s an effect you’re deliberately looking for it’s unlikely to sound good.